Putin seems to be aware that Netanyahu has a history of positing lies as facts. I have just read that Vladimir Putin has indirectly humiliated Benjamin Netanyahu in Moscow again. And he’s done it with a smile. Keep in mind that Netanyahu truly believes that he can manipulate virtually every single politician in the Western world. He certainly has U.S. officials on a platter: John McCain, Lindsey Graham, you name it. But Putin doesn’t seem to be impressed by Netanyahu’s perpetual lies, hoaxes and fabrications. Why? “Iran has acknowledged aiding Shiite militias in Iraq, as well as the Iraqi army…. But the militias are — for better or worse — propping up Iraq’s beleaguered military in its fight against the Islamic State militant group. This man is certainly evil incarnate. Iran, with the help of Russia and the Syrian government, has been fighting ISIS since the beginning of the Syrian war, and now this Netanyahu is telling the entire world that ISIS and Iran are two sides of the same coin! Why didn’t Netanyahu tell Congress that the Israeli regime has been in contact with ISIS since the beginning of the war? And can he explain to us why ISIS has never threatened or attacked Israel? Can this man really be serious? “In the past three months, battle-hardened Syrian rebels have transported scores of wounded Syrians across a cease-fire line that has separated Israel from Syria since 1974, according to a 15-page report by U.N. Secretary-General Ban Ki-moon on the work of the U.N. Disengagement Observer Force (UNDOF). Once in Israel, they receive medical treatment in a field clinic before being sent back to Syria, where, presumably, some will return to carry on the fight. As we have documented in the past, the so-called rebels and ISIS are two sides of the same coin. So, the plot thickens: it is Israel, not Iran, that has been sleeping with ISIS. That again is a rational and historical rebuke, and Netanyahu has never bothered to respond to it. Instead, he has chosen to repeat the same mumbo-jumbo virtually every week or so. And this is why Putin again was not impressed. That again was a pointed rebuke to the mad man who never ceases to summon some of the craziest statements in the history of political thought. Netanyahu was obviously picking and choosing, and we all know by now that the historical evidence shows that it is Israel, not Iran, that seeks to destroy the Palestinians. Think about this for a moment. Israel has clandestinely been involved in attacking Iran for years. This is not conspiracy stuff. Pick up a copy of Dan Raviv and Yossi Melman’s Spies Against Armageddon: Inside Israel’s Secret Wars and Michael Bar-Zohar and Nissim Mishal’s Mossad: The Greatest Missions of the Israeli Secret Service, and you will find that the Israeli regime has covertly manipulated the West and even connived with terrorist groups such as the MEK to assassinate Iranian scientists. Keep also in mind that even the Zionist media such as Fox News has reported that Israel was involved in assassinating Iranian scientists in 2012. The regime also carefully developed a virus known as Stuxnet to destroy scientific work in Iran. It has also been reported that Netanyahu aspired to wage a military attack on Iran in the early years, but Shimon Peres stopped him. The Israeli regime tried for years to “secularize” Iran, but that failed miserably. Now “King Bibi” is trying to tell the West that Iran is spreading terrorism all across the Middle East and even the world and is trying to annihilate the Jewish people. Again, doesn’t it stand to reason to say that Netanyahu is mad and delusional? Charlotte Alfred, “Did Benjamin Netanyahu Lie To Congress? 5 Fact-Checked Claims From The Speech,” Huffington Post, March 3, 2015. Colum Lynch, “Exclusive: Israel Is Tending to Wounded Syrian Rebels,” Foreign Policy, June 11, 2014. 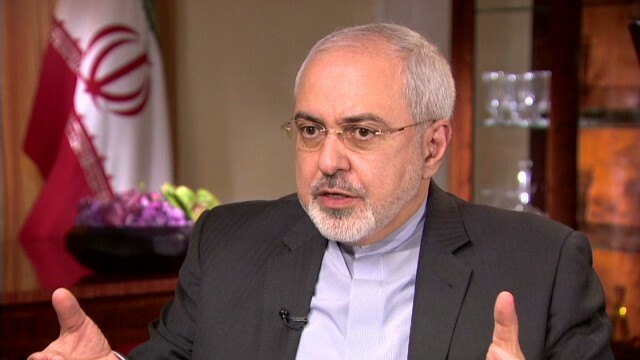 Quoted in Michael Wilner, “Zarif Says Iran an Historic Haven of the Jewish People,” Jerusalem Post, March 5, 2015. Dan Raviv, Yossi Melman, Spies Against Armageddon: Inside Israel’s Secret Wars (New York: Levant Books, 2012); Michael Bar-Zohar, Nissim Mishal, Mossad: The Greatest Missions of the Israeli Secret Service (New York: HarperCollins, 2014). “‘I stopped Netanyahu from catastrophic attack on Iran’ – Peres’ statement concealed ‘til death,” Russia Today, October 1, 2016. For a study on this, see Haggai Ram, Iranophobia: The Logic of an Israeli Obsession (Stanford: Stanford University Press, 2009). Jason Rezaian, “Iran’s Jewish community reflects a complicated relationship with Israel,” Washington Post, October 2, 2013.